The Chairman of the Libyan National Oil Corporation (NOC) Mustafa Sanallah said reopening Sharara oilfield has become more complicated after the launching of a military operation in southern Libya "to fight terrorism and then turn to control the oil facilities," referring to the military operation of Khalifa Haftar's self-styled army. Sanallah told Chatham House in London on Tuesday that he was concerned with what would take place in the region and at oil facilities due to the happenings in south Libya and what would happen to the NOC. “It is my concern that a sequence of events has been set in motion with unknowable consequences for Libya, and NOC,” he said, Reuters reported. 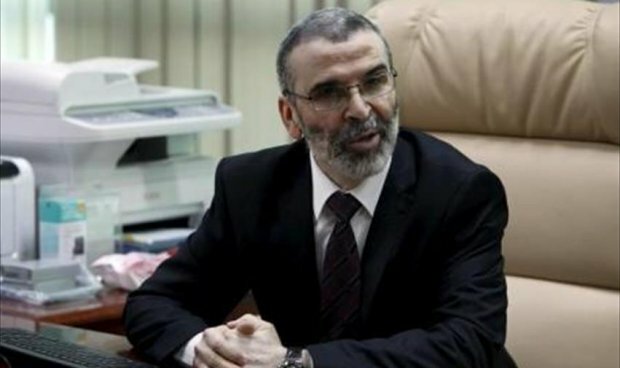 Sanallah indicated that the armed group attempting to hold NOC and Libya’s economic recovery to ransom must leave the field before NOC will consider restarting production. He said the preferred solution for securing the field involved deploying a Petroleum Facilities Guards (PFG) force, managed by NOC, adding that NOC would adopt this option with some reluctance. "NOC had suggested that, as an immediate measure, a mixed force might provide a solution within a negotiated security framework led by the Government of National Accord in Tripoli and with the support of the United Nations." Sanallah added. Sanallah told reporters on the sidelines of the event that the field was producing as much as 315,000 barrels per day (bpd) before of its closure, but it has lost 13,000 bpd of capacity since last month due to security breaches. The oilfield has been under force majeure since last December. "Libya is now producing just below 1 million bpd," Sanallah said, which is below average production in 2018 of 1.1 million bpd, according to Reuters. Haftar's self-styled army launched in mid-January a military operation in southern Libya "to fight terrorism and foreign rebel groups as well as secure oil facilities.